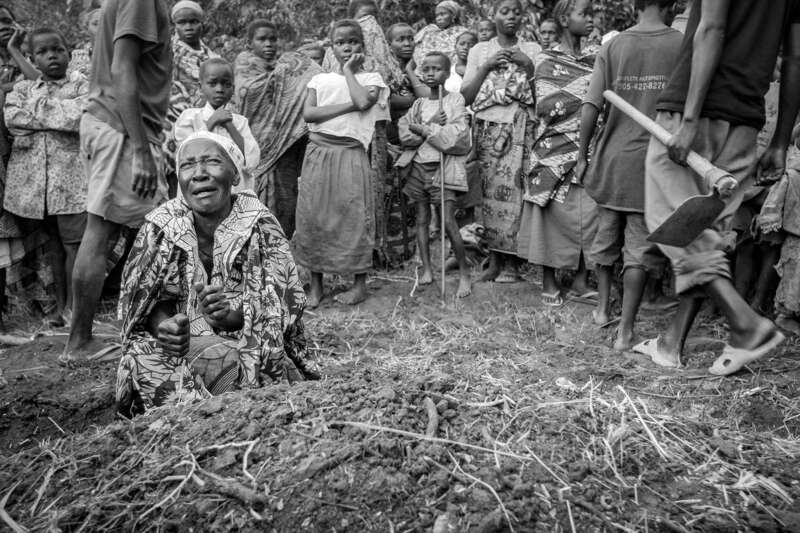 Mother of Lea Androsi, internally displaced died from diarrhea, mourn for her daughter at a burial in the village of Gety. She left 3 children and elderly mother behind. She contracted diarrhea while she and her family were hiding in the bush from the fighting.